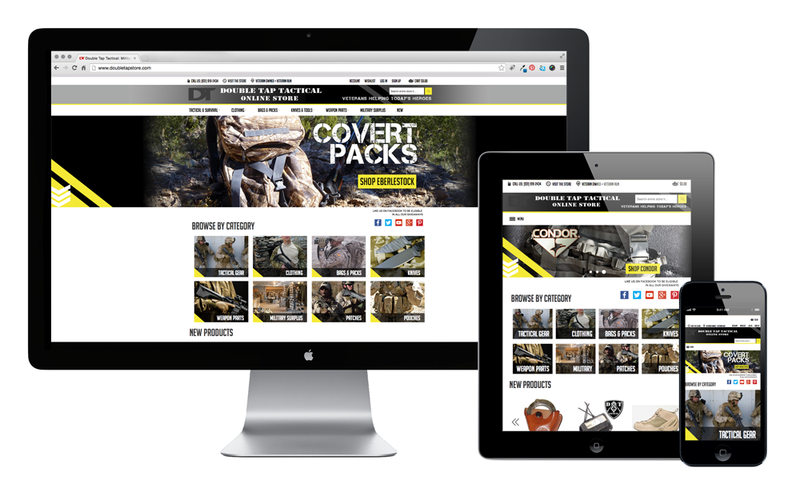 Double Tap Tactical is a client with a sizeable inventory – 10,000+ items. After we developed their website and ecommerce platform, we created a system to integrate their Point-of-Sale (POS) inventory with their online sales, including automated order processing and full integration with Amazon and Ebay. Pictured below is the previous Double Tap Magento site that we built, before their 2014 rebranding. The site referenced retro/vintage army colors, highlighting their army surplus goods. 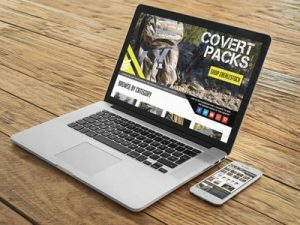 As the company turned their focus to state-of-the-art tactical & survival gear, we rebranded the site with a clean, crisp look, with minimal colors and photography of their gear in action.